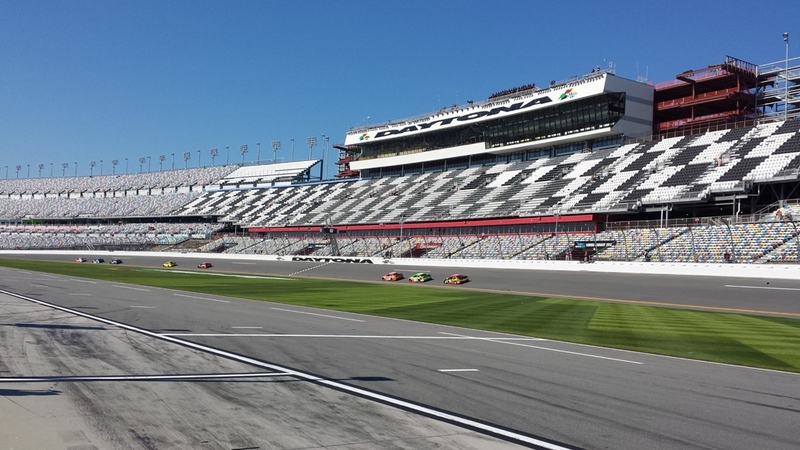 DAYTONA BEACH, Fla.—At almost the exact same moment during Saturday’s second Daytona 500 practice session, the cars of 2014 NASCAR Sprint Cup Series runner-up Ryan Newman and Martin Truex Jr., both of which use Earnhardt-Childress Racing engines, began to trail smoke. Newman’s issue was an engine failure in the No. 31 Richard Childress Racing Chevrolet. “Something just happened in the bottom end of the motor going into Turn 3,” Newman said. “Everything was going as planned until then. The Caterpillar Chevrolet tried to diesel on me, and it doesn’t like to diesel. Because of the engine change, Newman must start from the rear in his Budweiser Duel race on Thursday night. Should he win either of the two front-row starting spots during Sunday’s Daytona 500 qualifying, he will have to drop to the rear for the start of the 500, too. 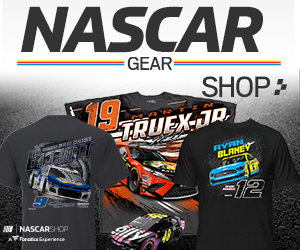 Truex’s problem was an oil leak caused by a crack in the oil pan. The No. 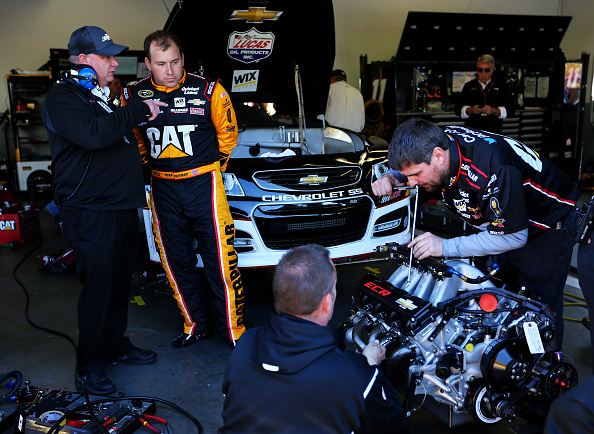 78 Furniture Row Racing team did not have to change engines before Sunday’s qualifying session. Late in Saturday’s second practice, Jimmie Johnson made a rare appearance in the draft at Daytona, hooking up with teammates Kasey Kahne, Jeff Gordon and Dale Earnhardt Jr. to post a lap at 199.313 mph. Before that abbreviated drafting session, Johnson had confined his practice time to single-car runs, as has been his custom in the past. 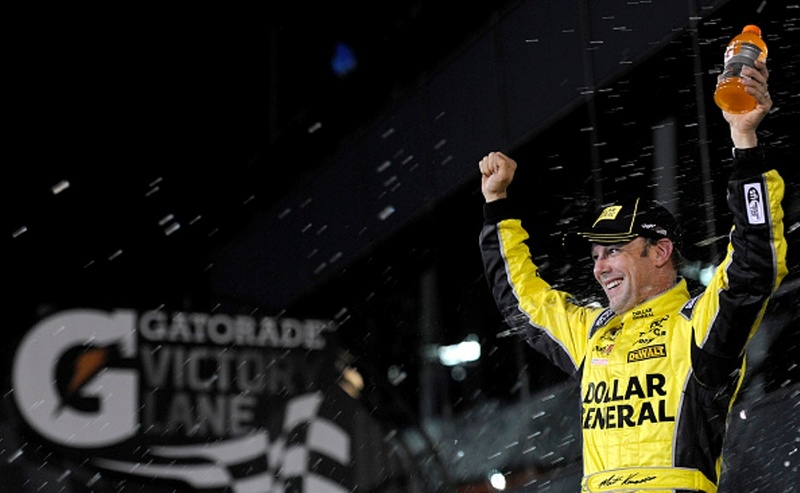 The six-time NASCAR Sprint Cup Series champion finished the final Daytona 500 practice second fastest behind the No. 95 Ford of Michael McDowell. Kahne, Gordon and Earnhardt were fourth, fifth and sixth-quickest, respectively.